Features a floral wreath around two white candles. Finished size 10cm high. Christmas Candles is also available in our Christmas Card Pack - Festive selection. 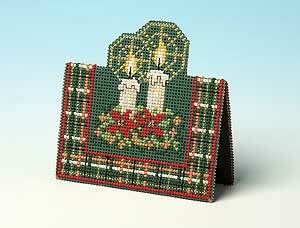 A matching Christmas Candles Gift Bag is also available.